UpDog Kombucha is a handcrafted, small batch kombucha company based in Winston-Salem, NC. UpDog was founded by two Wake Forest students with a passion for healthy living and natural products. 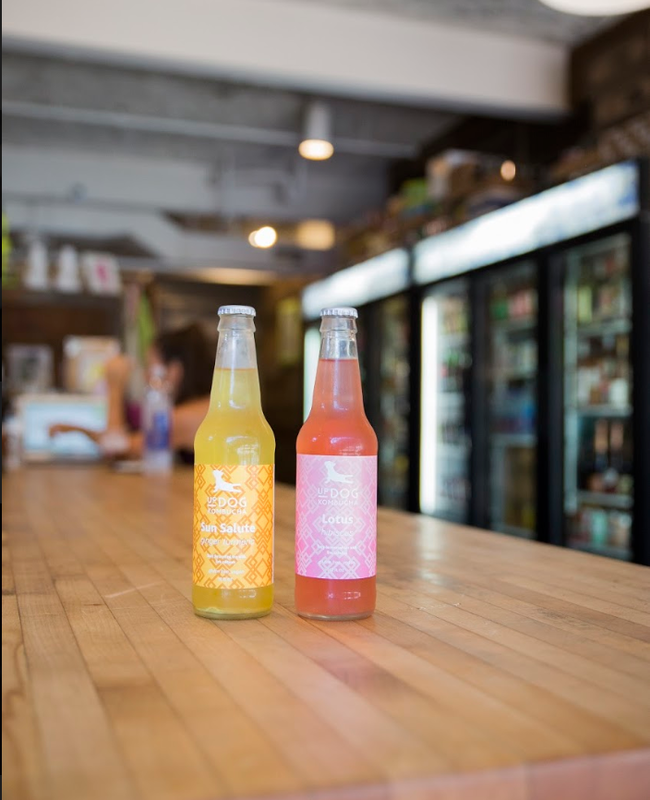 Both kombucha and yoga enthusiasts, Olivia Wolff (’16) and Lauren Miller (’17) have worked tirelessly to perfect their brewing techniques to make UpDog Kombucha in an authentic and sustainable manner. Is kombucha a new trend? Actually, kombucha has been around for centuries and has just recently found its way to the States. While the origins of kombucha are hazy, there are claims this fermented tea began in Asia with Korean doctors, while other sources claim the tea to have (most likely) originated in Ukraine and Russia. Wherever kombucha may have first originated, we at UpDog are so grateful for the efforts of other cultures to create the drink we all love. Kombucha has a bunch of health benefits alongside its refreshing taste! Kombucha is rich in probiotics, prebiotics, and antioxidants- properties excellent for digestive, immune, and overall health! Nope. There are 5-8 grams of natural sugars from the fermentation process, but no sugars are added following fermentation. Is kombucha ok with my diet? Our kombucha is raw, vegan, gluten-free, and with no added sugars. This means that it is compliant with most styles of diet, including Whole30, Paleo, South Beach, Atkins, Raw Foods diets, and more. If you want to know if kombucha is okay with your diet, feel free to contact us! What's that stuff floating in the KOmbucha? The stuff you see floating around in the bottle is the SCOBY (Symbiotic Culture of Bacteria and Yeast) that allows the tea blend to ferment and give it its nutritious properties. Where can I find UpDog? While UpDog's roots are in Winston-Salem, NC, we've spread across the state with recent additions in Virginia and South Carolina as well! You can find UpDog Kombucha on tap or in bottles in a variety of stores, yoga studios, and your local farmers' markets. For more information, check out our Find Us page for a complete listing of where you can find UpDog. If you're interested in getting some of our kombucha near you, please contact us! How can I get UpDog at my location? Contact us! Send an email to updogkombucha@gmail.com to get started and we will answer any questions or concerns you might have. Please reach out to us with any further questions by using the contact tab!